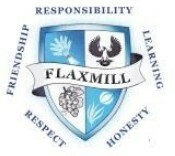 Flaxmill Schools value individuals, learning and success. We are confident that our existing programmes, and others that we are developing with our school community, will result in relevant and enjoyable learning. Flaxmill Schools comprises of a Pre-School Centre (Kindergarten), Junior Primary School (Reception to Year 2) and a Primary School (Years 3 to Years 7) sharing the one-site, facilities and resources. We teach and use these values on a daily basis and especially when dealing with behaviour issues. We discuss with students the value/s they are and/or are not exhibiting for themselves and to others. This has brought about a significant change in children's attitudes and responses. 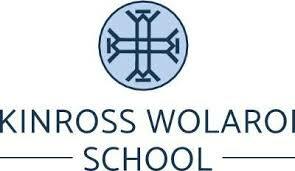 I am delighted to introduce you to Kinross Wolaroi School. 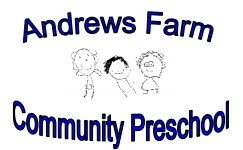 We are a close-knit, engaged, friendly community that has been educating children of rural communities for over 130 years. Kinross Wolaroi values its history, yet it blends traditional values – courtesy, tolerance, respect and decency with a forward and outward approach to education. At Kinross Wolaroi your child will experience a first class innovative and dynamic learning environment that will provide them with the academic and personal skills to flourish in the 21st century. Academic ambition matters and it is important that every student is inspired to be the best they can be. We possess a vision for learning that encompasses all aspects of life, not just the intellectual but also the social, cultural, physical and spiritual dimensions where education is deliberately structured to develop the whole person in a caring, family oriented environment. We passionately believe that enjoyment of learning and the wellbeing of our students must lie at the heart of a school. Students learn to think independently and develop a spirit of independence that will allow them to thrive in a rapidly changing world. Your sons and daughters will encounter many challenges, choices and opportunities so that they can grow and discover their abilities and passions in life. Kinross Wolaroi enjoys an excellent reputation for its diverse and engaging co-curricular program that forms a significant element of the rich fabric of the School. Here they will develop self-confidence, resilience, social skills and character that can contribute so much to success in later life. At Kinross Wolaroi your child will enjoy a vibrant contemporary culture and join a family where our inclusive community and grounded culture create a strong sense of belonging. Our motto “Scientia, Amicitia, Integritas” - Knowledge, Friendship and Integrity is central to the lived experience of our students. This, combined with the commitment of our dedicated staff, parents and community, will see your child grow into a young adult of integrity who possesses a sense of social justice, qualities that will see them go out into the world to make a significant contribution to society. I look forward to welcoming you and your family to Kinross Wolaroi School. Melbourne Montessori School (MMS) is an independent, co-educational school which currently provides a high quality Montessori curriculum for children from 18 months (walking) to 16 years of age. There at two campuses; one in South Caulfield and the other in East Brighton. Classes are multi-age, giving each child the opportunity to learn from others and the flexibility to develop their personality at their own pace, both socially and intellectually. As a result, our students develop a life-long passion for learning. All environments are prepared with outdoor spaces and Montessori materials for children at each developmental level, allowing students to fully experience their surroundings and take responsibility for their own education. - Senior School programs - Cycle 4 for 12 to 15 years olds (Years 7 to 9) and Cycle 5 (Year 10). - Melbourne Montessori School is growing and will offer the first year of the 2 year International Baccalaureate diploma to students in 2019. Our students grow into compassionate and self-motivated individuals, who are internationally-minded and globally responsive citizens. Aberfoyle Park Campus Preschool is situated in Aberfoyle Park, a suburb in the foothills in the City of Onkaparinga approximately 20km south of Adelaide, South Australia. Aberfoyle Park Campus Preschool is uniquely part of the Aberfoyle Park Primary School Campus. Discover more about our wonderful learning environment for children in the early years. At the Aberfoyle Park Campus Preschool we value a high quality educational program that supports the development of each child in a safe and engaging play environment. We have two campuses about 1km apart on either side of the Hub Shopping Centre. Taylors Road Campus is on the western side of the shopping centre and next to Aberfoyle Park High School on Taylors Road. It looks over the Happy Valley Oval and sports centre with the Aberfoyle gym centre behind us. Hub Drive Campus is on the south eastern side of Aberfoyle Park High School and sits inside the school's tall black fence line and can be accessed from Hub Drive by an access road which has KFC on the corner - opposite the shopping centre. We look forward to working in partnership with you to provide a quality preschool program which meets your child’s individual needs and builds upon their prior learning. Torrensville Preschool Centre offers sessional Preschool, Occasional Care, and Playgroup Programmes to our local community. The building is purpose built, and lies within a pleasant tree- filled playground, and is adjacent to Torrensville Primary School. Respects and values the cultural diversity of our children and families. Promotes and supports children to engage in a safe, stimulating, play based learning environment where creativity, imagination and life skills are fostered. Works collaboratively to achieve best learning outcomes for all. Provides an environment where trust, respect and sharing are valued, supported and promoted. We believe children learn through play, with and from each other and the educators within a safe secure environment. Through play children develop an understanding of their social worlds. They learn to communicate, trust, form attachments, share, negotiate, take turns, resolve conflict and have fun. Every child’s unique in terms of life experience and developmental readiness. Our vision is to provide a safe and supportive teaching and learning environment which leads to quality educational outcomes for all children. Angle Vale Preschool is a vibrant and exciting Learning Community, with supportive parents and a passionate staff team, who are committed to continually striving to build on our culture of inclusion, and providing quality play based learning environments which are highly supportive of all children’s learning. The vision for Angle Vale Preschool is to provide a quality learning environment which is inclusive, accessible, and play based. Children are encouraged to develop a positive self-concept and the skills and enthusiasm for learning while being supported in their individual learning. We encourage and support the involvement of families and the community, while respecting and valuing their needs and expectations. To provide quality teaching and learning experiences for all children which are current, that is early childhood research based and authentic. To provide a quality service that is accessible and equitable to our community of learners. 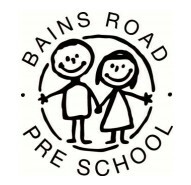 Bains Road Preschool will continue to be a vibrant force within the community where staff and parents work together to provide a safe caring and challenging environment so children can fulfill their potential. The Preschool staff will continue to work with their community to implement an inclusive play based curriculum which encourages children's natural curiosity and a love of lifelong learning. The Preschool staff will work in partnership with local schools and kindergartens to ensure continuity in the Early Years. Our kindergarten is part of the Department of Education and Child Development and as such we abide by the Department’s Enrolment Policy. If your child turns four before May 1, they can start kindergarten on the first day of Term One in that year. If your child turns four on or after May 1, they can start kindergarten on the first day of Term One the following year. Aboriginal children and children under the guardianship of the Minister for Families and Communities may access preschool from 3 years until the age of 6. Early Entry and Extended enrolment at preschool may be negotiated with the Director for children with additional needs. Currently children are entitled to 15hours of kindergarten a week. We aim to create a warm, caring and supportive environment where both children and parents feel welcome as an integral part of the Centre. We aim to provide a high quality teaching and learning programme for all children. We value each child as an individual with unique needs, strengths and abilities and we respect their differences. We recognize that the children come into the Centre bringing with them a variety of experiences, values and attitudes that they have gained from their home environment. We believe that parents are children’s first educators and it is important that we work closely together for the benefit of their child. We believe that children learn through play and that kindergarten is part of the continuum of life-long learning experiences. We look forward in being able to share in your childʼs learning journey and the many interesting, challenging and fun opportunities that this will create. We greatly value the role of parents as the childʼs first and most important educator and as such are keen to foster a strong partnership between home and preschool. This booklet has thus been developed to foster the transition process, as we work together to give your child the best start in life that we can. Our vision is to develop happy, independent individuals who value diversity, communicate confidently and have freedom of choice. At Burton Park Preschool, our core values include; play, respect, team work, happiness, diversity, safety, trust, quality, creativity. At Campbelltown Preschool we believe that parents and families are a child’s first and most influential educators. We also believe that when the preschool and families work together and support each other, effective learning occurs. We therefore strive to develop positive partnerships with parents to ensure that your child’s learning is relevant and purposeful for them. Please feel free to discuss any aspect concerning your child’s learning and development with the educators. 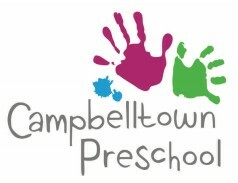 At Campbelltown Preschool we aim to provide an environment in which children can develop socially, emotionally, physically and intellectually. Educators at the preschool believe that play is the essential medium for a young child’s learning. Our aim is to provide a program of experiences and activities which are child-centred and flexible, encouraging individual and group learning. 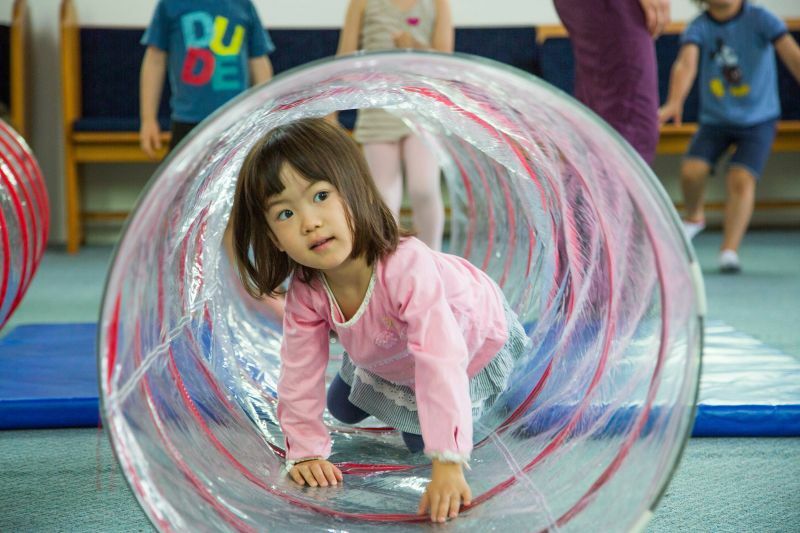 We believe that a play-based curriculum in which the educator is a facilitator in an encouraging and supportive environment, each child will develop self-confidence and an ability to make decisions. We aim to challenge children, encouraging them to be active learners and thinkers, full of curiosity about the world around them. Parents, community and staff work together to provide a rich education for our children. We actively encourage, model and support appropriate positive social interaction and cooperation. We manage behaviour according to each individual child's needs. Coorara Preschool is a community of life-long learners who celebrate childhood. It is a place to learn through play, to explore, to interact, discover and grow. Our dedicated Staff Team provide a hands-on teaching and learning curriculum. We value each child as a unique person, leading to feelings of self worth and independence. Partnerships are forged with the whole community acknowledging the diverse range of participation and involvement making the experience of preschool enjoyable for all. 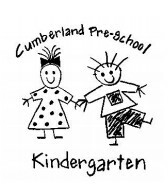 Cumberland Kindergarten is situated 6kms south of Adelaide in the Mitcham Council area. The kindergarten has exceptionally high-grade acoustic treatment, to provide the best possible acoustic environment for children. A newly built library provides space for children to use computers, for reading, and for small group or individual work, and for supervised book borrowing. Our goal is to develop the skills and learning to prepare all children for a successful start in school. The preschool aims to provide a high quality learning environment supported by professional, knowledgeable and caring staff in partnership with parents and carers, meeting the needs of each child. Children are encouraged to develop a respect for their environment by engaging in activities that develop ecologically sustainable practices, skills and ideas. Children are encouraged to develop a respect for their environment by engaging in activities that develop ecologically sustainable practices, skills and ideas. 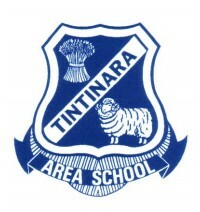 Tintinara Area School is a small Area School that provides quality teaching and learning within a caring and safe environment for preschoolers to Year 12. Class sizes reflect our belief in small learning communities. This structure emphasizes involvement and activity to enhance skills development, strengthen confidence and cater for individual interests and needs. Tintinara Area School has outstanding facilities to support the education of students. The Centre is situated in the picturesque North Eastern surburban foothills, of the Adelaide Hills, South Australia, surrounded by native vegetation. The outdoor learning environment is visually appealing, expansive and caters for a wide range of learning experiences. Highbury Preschool is a large stand alone Preschool and a Department of Education and Child Development site, co-located with Highbury Primary School. The Preschool team, continuously strives to provide a high quality, stimulating learning environment, that caters for a diverse range of needs, with every individual child being the focus of our curriculum and learning plans. Our program is based upon the philosophy that children learn through play and this is evident within all aspects of experiences provided. Children are entitled to 12 months of preschool, consisting of four sessions per week for four terms. Children must be four years of age by May 1st each year before starting full preschool sessions. There are variations to this policy where determining factors need to be considered such as additional needs, formally assessed gifted children and aboriginal children. It is often useful to make a decision in regards to the school that your child may be attending to inquire into their enrolment practices to start Reception. If your child has needs or you have concerns in regards to their development and how this impacts on their preschool or school readiness please see the Director. Your child is not legally required to start school until age six. Welcome to Mawson Lakes Preschool. We hope your time with us is a happy one. At Mawson Lakes Preschool we value learning through play and discovery, and provide varied and stimulating experiences within our curriculum. We respect and support the multicultural backgrounds of our families and endeavour to reflect diversity in our program. We encourage independence, creativity, resilience, research and inquiry, respect, empathy and a sense of wonder. As part of the Mawson Lakes School community, we aim to support you and your child with a smooth transition to school. We look forward to working with you to make your child’s time at preschool challenging, exciting and fun! 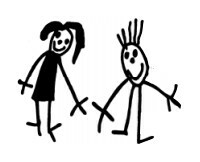 Please feel free to talk to any of the staff if you have questions, queries or comments about your child and / or what is happening at preschool! Mawson Lakes Preschool is a Department of Education and Children’s Services (DECD) Preschool. All staff are fully qualified to teach in the Early Childhood field. All staff hold current First Aid, Asthma Training, Mandatory Notification and Child Protection Curriculum training, in addition to other specialist knowledge. 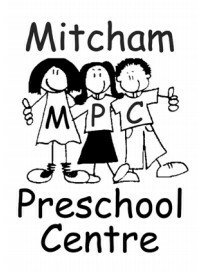 Mitcham Preschool Centre is nestled away in the leafy surrounds of the Mitcham Community Court, just off Belair Rd, Hawthorn. 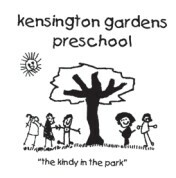 The kindergarten is adjacent to a beautiful park and the Mitcham Library with the centre hosting plenty of safe off-road parking. There is "room to move" at Mitcham Preschool, with large outdoor play spaces for the children and spacious areas throughout our beautiful heritage-listed building. 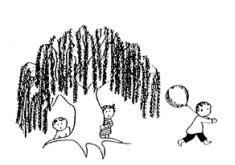 At Mitcham Preschool, we offer a high quality, educational, play-based program with an inquiry based approach to learning that follows the Early Years Learning Framework (EYLF) "Being, Belonging and Becoming". In particular, we pride ourselves on delivering a strong literacy and numeracy focus, an extensive motor coordination program, strong commitments to healthy eating and physical activity programs, and a dedication to communication and collaboration with parents and carers.